closeted and I had to just stew about it for the rest of the day. I got myself to the very next ACT UP meeting--they could just tap into that immediate anger and get stuff done." 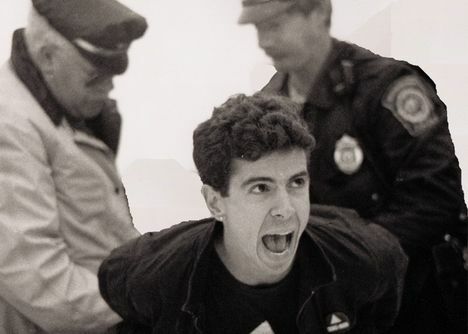 Thus began Staley's transformation from Wall Street wunderkind to full-time AIDS treatment activist, chronicled in David France's superb debut documentary How to Survive a Plague. The film covers the youthful, over-the-top actions of the AIDS Coalition to Unleash Power (ACT UP) during the period 1987 to 1995. Staley is one in a large cast of people in the film who were radicalized by the plague and the refusal of the US government, from the president to the National Institute of Health (NIH) and Food and Drug Administration (FDA), and the private sector to provide leadership in combating it. This radicalization took the form of becoming their own medical statisticians, drug-trial protocol writers and advocates for lower-priced drugs. Members of the Treatment and Data Committee of ACT UP distributed glossaries and their own impressive treatment research agenda and sold pre-approved drugs. Even the NIH was subscribing to their publications. Peter Staley in a scene from David France’s How to Survive a Plague, a Sundance Selects release. Photo: William Lucas Walker. discourse. There's the 1989 St. Patrick's Cathedral die-in in Manhattan, where Archbishop John Cardinal O'Connor was officiating and then-mayor Ed Koch was worshiping. We see Bob Rafsky heckle Bill Clinton during a campaign speech for refusing to promise action on AIDS, provoking the candidate's notorious claim, "I feel your pain." An open-casket funeral for Mark Fisher becomes a march to George H. W. Bush's campaign headquarters, where Rafsky pronounces a curse on Bush for his inaction. Weeping over memorial quilts has its consolations, but there's nothing quite as powerful as watching dozens of survivors hurling the ashes of their loved ones onto the White House lawn. strategy of leaderless, broad-consensus decision-making. Director France also doesn't shy away from showing how ACT UP degenerated into internecine squabbles and factions. 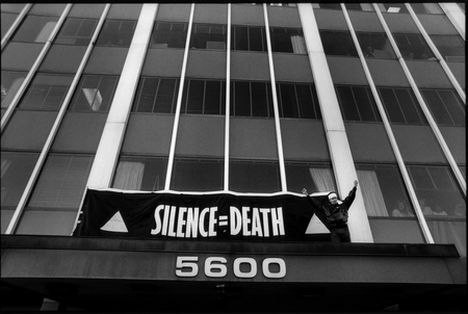 The Treatment and Data Committee split off and formed the Treatment Action Group (TAG), a "think tank-type project" that participated at AIDS conferences and was criticized for getting too close to the powers that were, especially when TAG members opposed accelerated approval processes for drugs. How to Survive a Plague shows how an aggressive, youthful organization overcame their differences and made long-term changes that saved millions of lives. France doesn't mind its being considered an instructional video, but he would prefer to call it a medical thriller. That is what he says distinguishes his film from two other recent documentaries about AIDS activism, Vito and United in Anger: A History of ACT UP, which were made by friends of his. "Mine has a more traditional movie form with a three-act structure, a linear narrative," he maintains. A counter marking the rapidly rising worldwide AIDS death toll each year functions as urgent chapter headings. We don't know which of the vibrant young men caught on videotape early on will be dead by the mid-1990s. Happily for chroniclers of the time, the rise of AIDS coincided with the birth of the consumer camcorder. The feverish recording of every ACT UP meeting, demonstration and informational tutorial gave France an overabundance of contemporary footage--he credits over 30 videographers. He found some of it in the New York Public Library's AIDS Activist Videotape archive, but much of it was in the hands of private collectors. Sadly, he often negotiated not with the videotapers themselves but with their estates. had a desperate fear of the epidemic. Like most people, I was paralyzed by the plague. Most people were so passive and terrified, which made what [the activists] did that much more remarkable." in America. It hadn't been examined that way yet. What did they leave us? 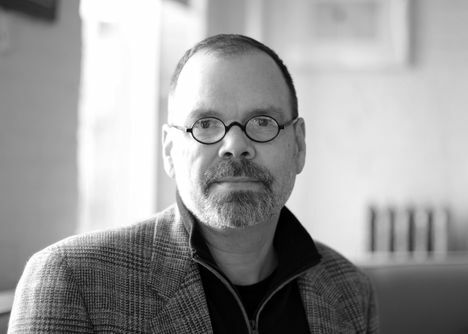 What's the legacy that we have inherited as a culture from that social justice movement?" marriage equality is not an abstract concept. It has always been my attempt to make my friends' deaths mean something more than tragedy." David France's document of the plague years and of the victims-turned-experts who fought to eradicate them provides future civil rights wars with a protocol for action. How to Survive a Plague opens in theaters September 21 through Sundance Selects. First Look: Where Were You in ’82?